Page Master Designs Online: Exciting News!!!! Can I just say how stinking EXCITED I am!!! or in Boston lingo...I am WICKED EXCITED!!!! 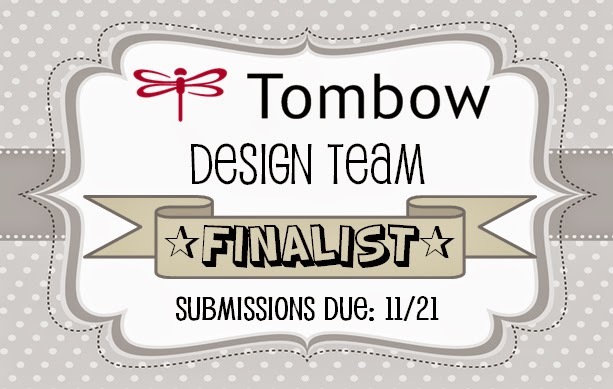 Here is a list of finalists from the Tombow Blog. Make sure to check them out....they are FAB!!!!! A HUGE THANK YOU to Tombow and Kasey Barber. You made my week. I am off to work on my project! Wish me luck!!!! What awesome news! Congrats, Michelle! Good luck on the next round! CONGRATS to you on being a Finalist! You are so very deserving, and I am so, so happy for you! Fingers and toes crossed for you!!! I'm so stoked for you! You're going to rock it! !